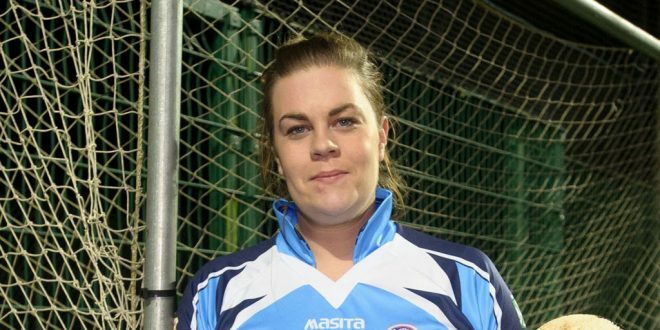 Scariff-Ogonnelloe's captain and goalie Aisling Corbett. SUPPORTERS of Scariff-Ogonnelloe Camogie Club will travel to St Brendan’s Park in Birr on Sunday hoping to see their team go a step further than in 2013, when they compete in the All-Ireland Junior Camogie Club Championship final. Leinster champions will again provide the opposition and this time Johnstownbridge stand between them and the All-Ireland title. Three years ago, Myshall from Carlow proved too strong for the Clare side. Johnstownbridge will carry the favourites’ tag, as they are the defending champions but Scariff-Ogonnelloe have shown impressive form all season and their supporters are confident that the Clare girls will give a good account of themselves in Sunday’s game, which throws in at 2pm. 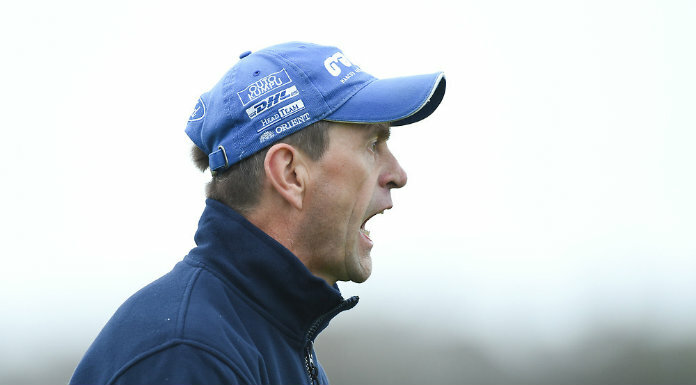 In the semi-final two weeks ago, the Clare intermediate champions recorded a facile win over the Ulster champions, Ballysaran, and they will have learned little from that outing. Johnstownbridge, on the other hand, had to fight all the way for victory in their match against a strong Athleague outfit. In Siobhán Hurley, Róisín O’Connell and Miriam Murphy, the title holders have strong players but the Clare representatives will look to Marian O’Brien, Amy Barrett, Aisling Corbett, Róisín O’Brien, Rachel Minogue, Aoife Power and Mairéad Scanlan to give them an edge. There is no doubt that Scariff-Ogonnelloe face a big task but such is the commitment they have given since last January, that they will make the holders battle all the way. Also, the experience of having been in the final three years ago, together with their high level of fitness, is sure to be a huge help as they seek to bring the national title to their club. While Johnstownbridge are favourites to win, such is the effort that Scariff-Ogonnelloe have put in this year that they must be given a great chance of causing an upset.